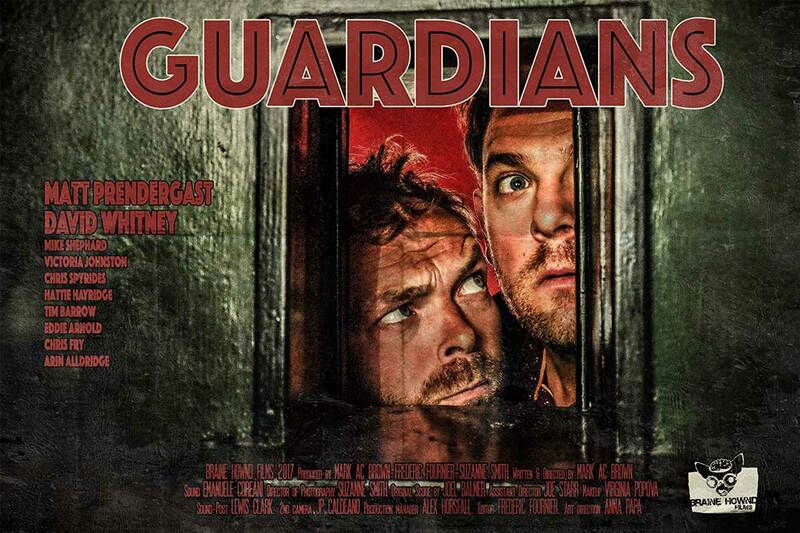 Following on from its success in the international film festival circuit, we’re pleased to be hosting two special screenings of award-winning comedy-thriller, Guardians, at our Shoreditch home. Set to be released online later on this year, and starring Matt Pendergast & David Whitney of the BAFTA award-winning Channel 4 comedy series Fonejacker, Guardians is set on the eminently recognisable streets of east London. The plot centres around Carlson (Prendergast) and Lavender (Whitney), two desperate down-and-outers who are thrown together as live-in guardians of a 200-year-old townhouse. At first, these two ill-suited men only have to deal with their own irreconcilable differences, but it soon becomes clear that there is much more to this old house than meets the eye. Prior to the film getting underway, some of the cast and crew will be getting on stage and holding a quick Q&A session with the audience before a screening of a short film, Kitty and Libby go Boo! by Hannah Owen. As always, to accompany the visual spectacle at hand, our expert bar team will be putting together some liquid refreshments for guests to sip as they enjoy the show. Tickets are £15 for the one, or £20 for a pair using the code ‘guardians’ at checkout. Welcome cocktail included as standard.